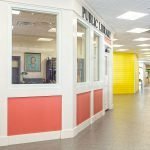 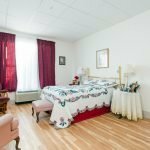 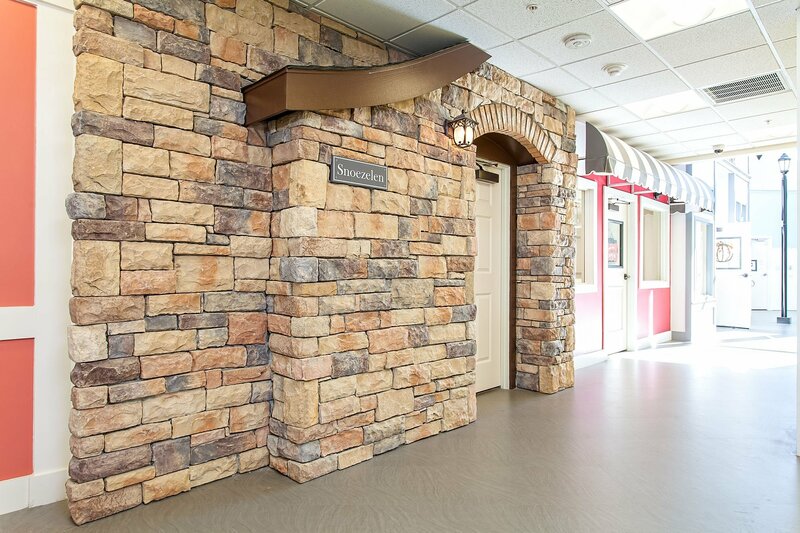 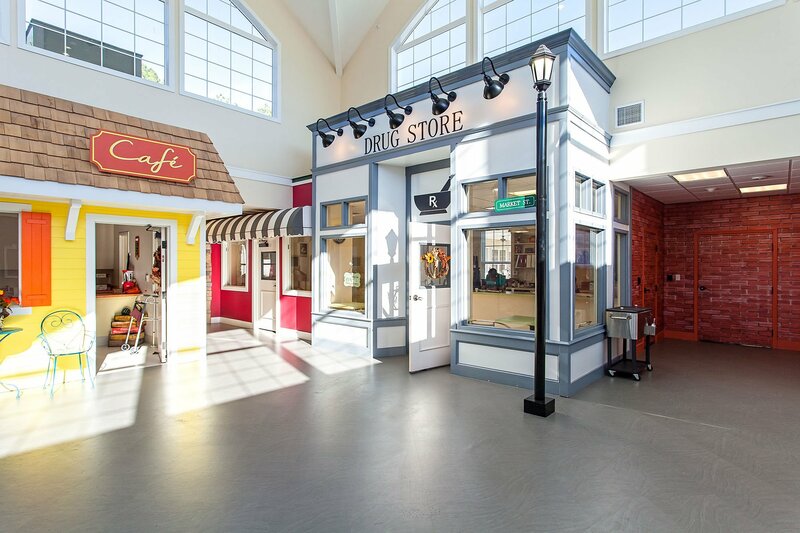 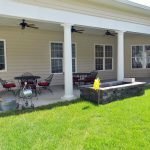 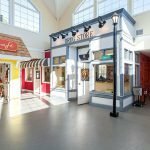 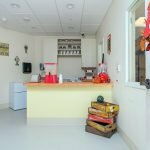 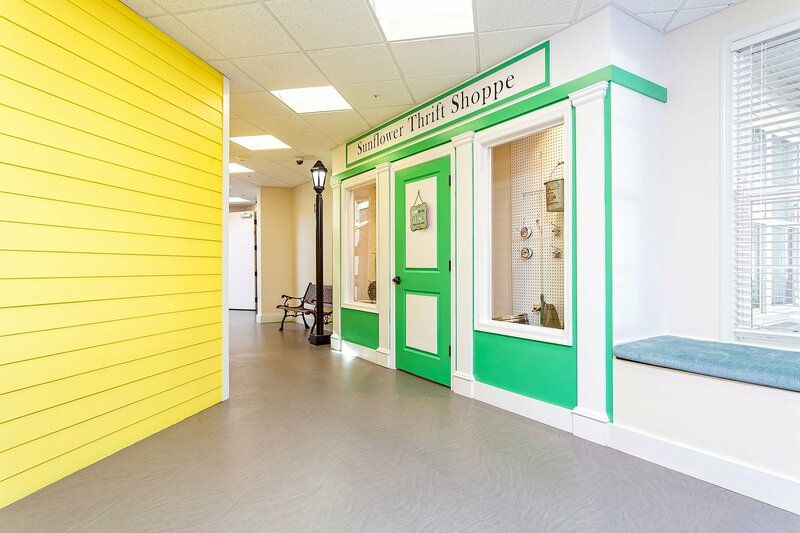 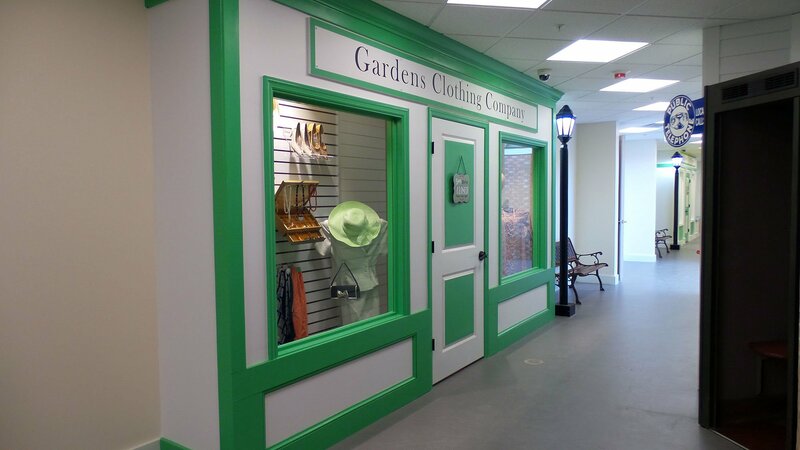 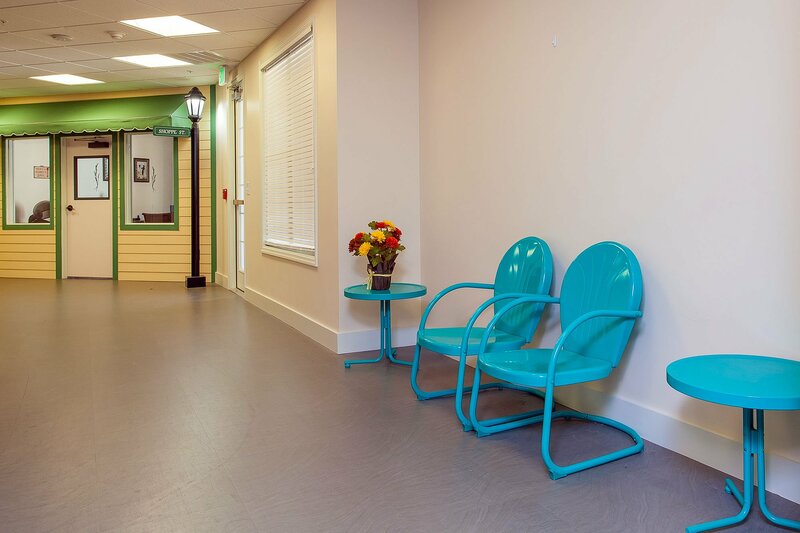 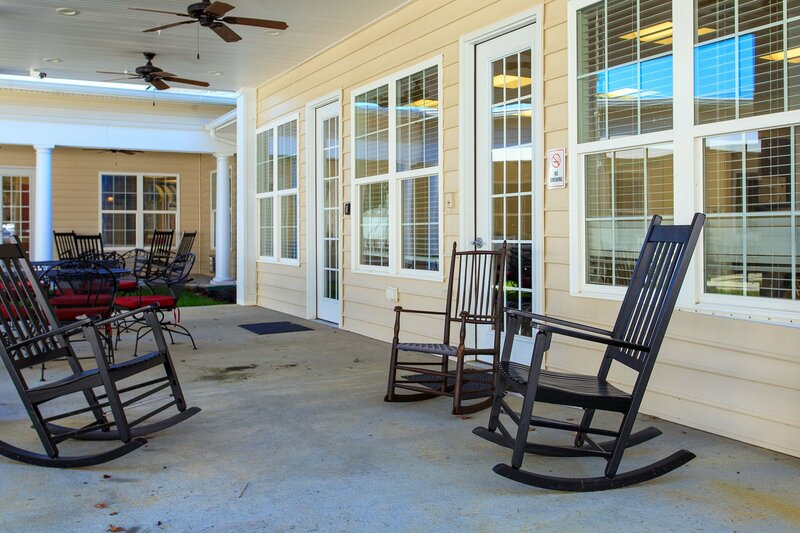 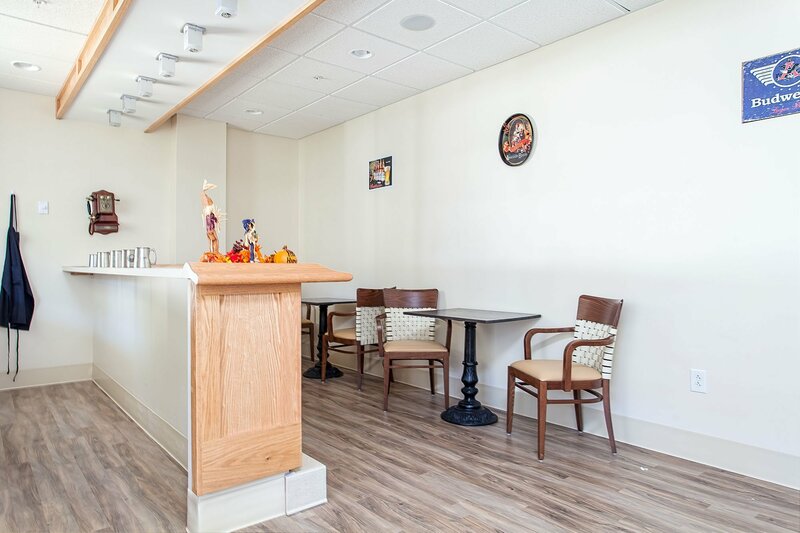 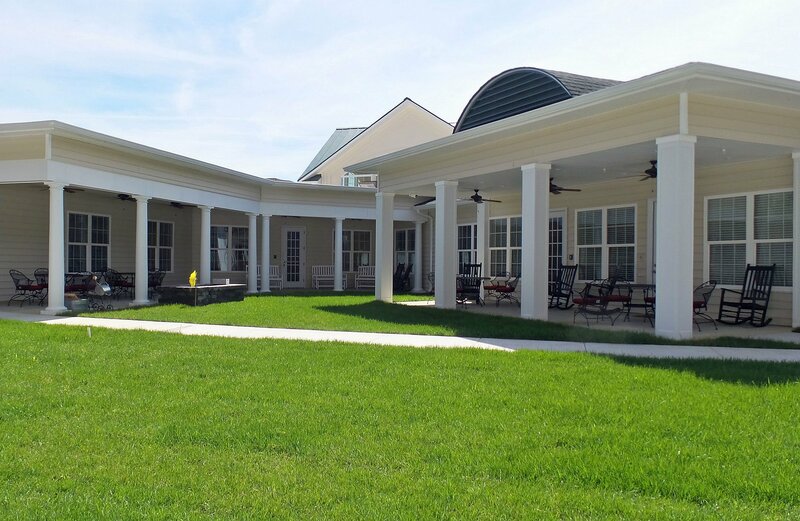 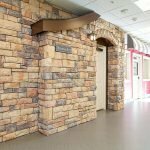 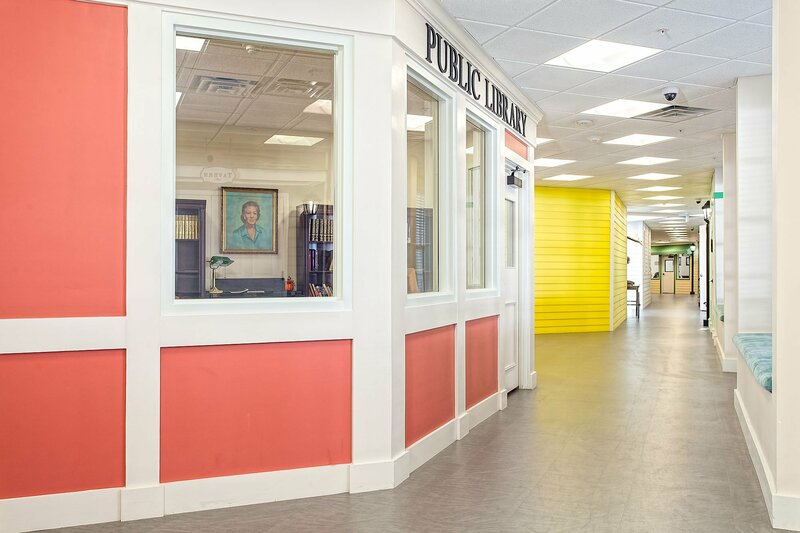 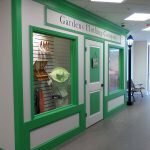 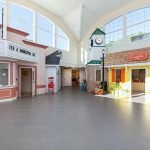 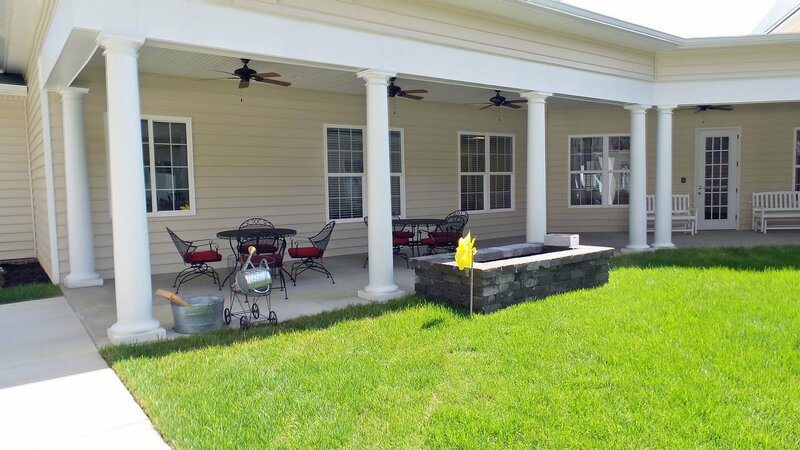 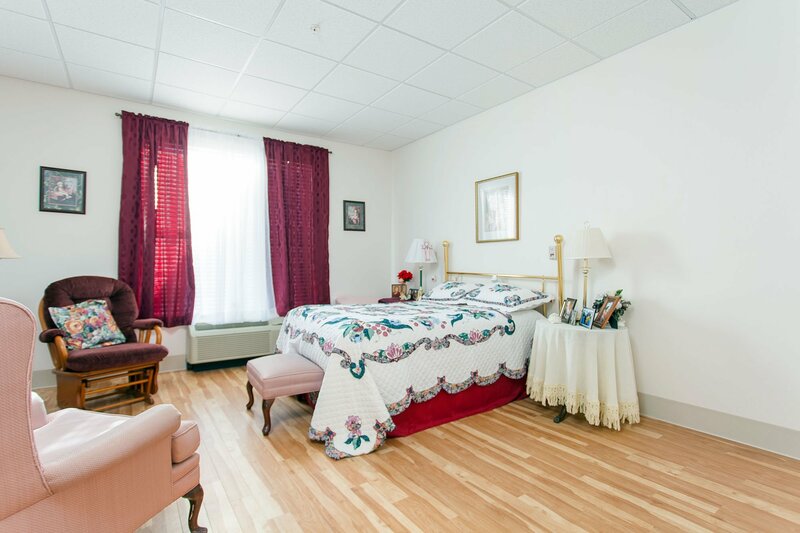 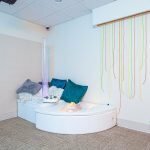 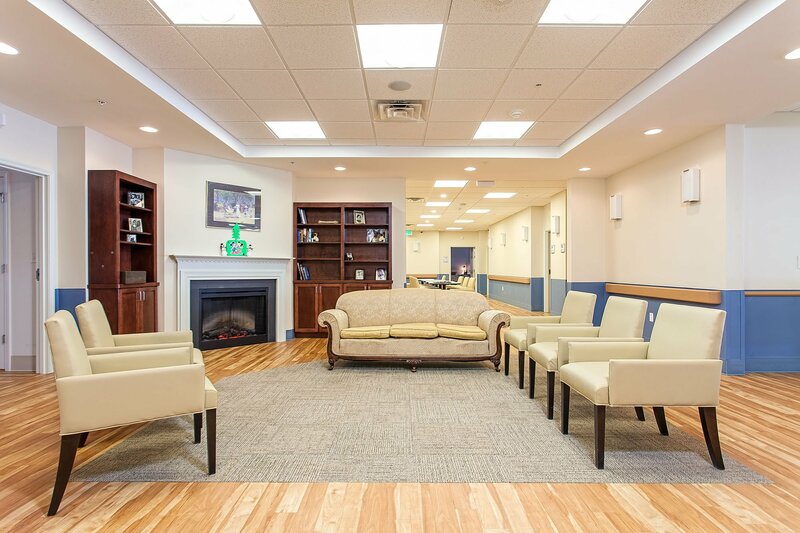 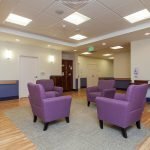 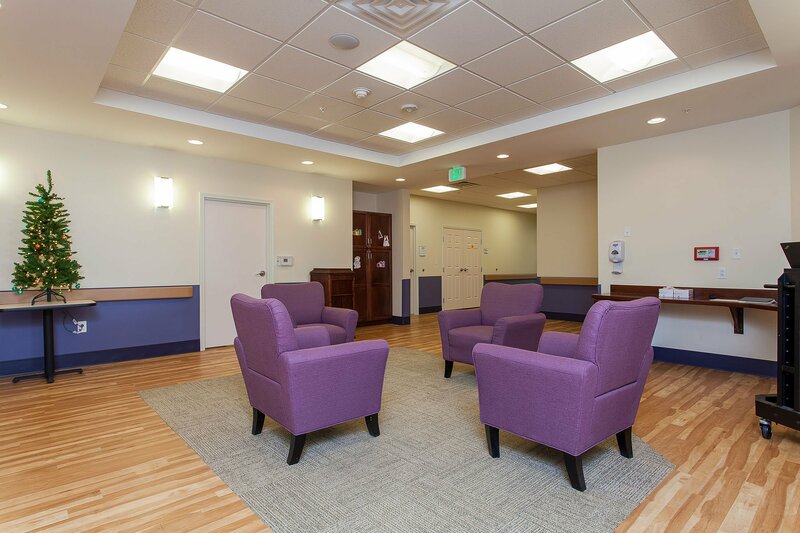 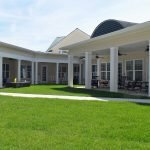 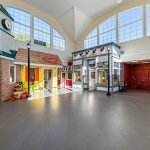 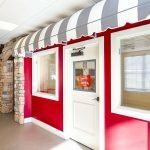 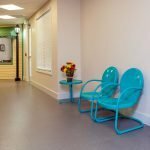 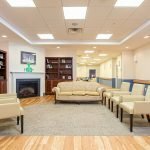 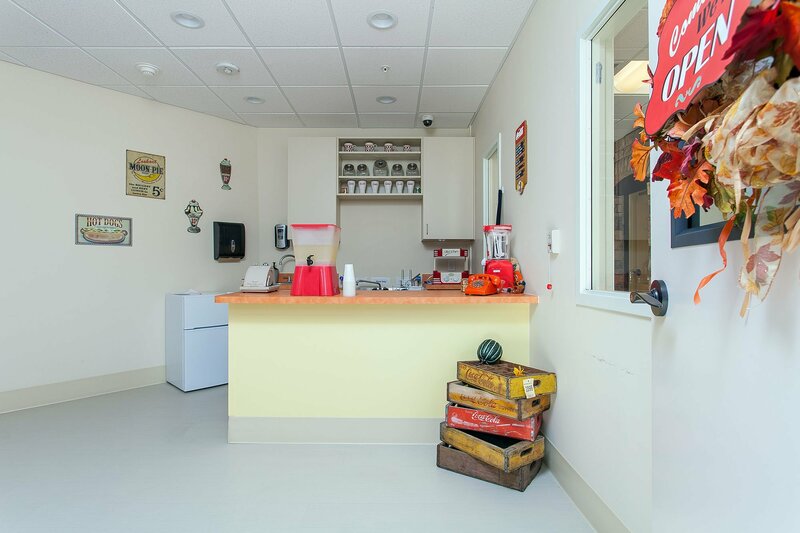 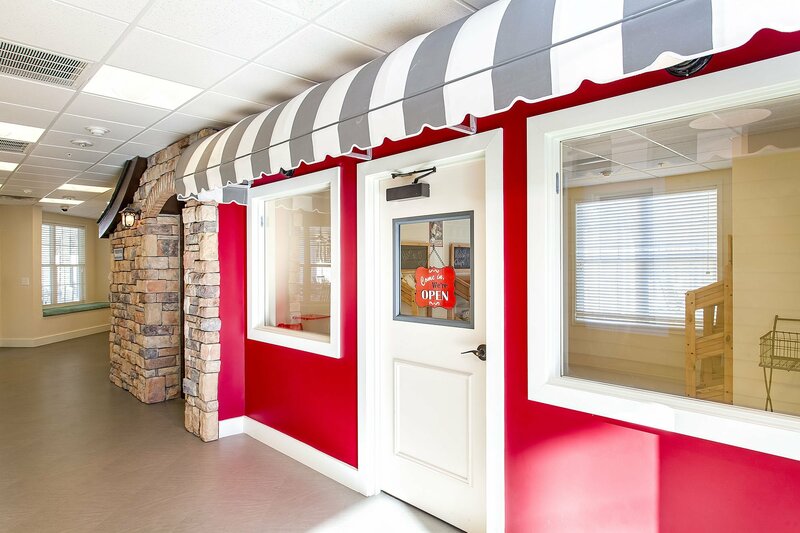 This new 40,000 square foot / 50 bed Alzheimer’s specialty care center in Hopewell/Prince George, Virginia offers a new concept in dementia care where residents have a feeling of being at home and engaging in regular day to day activities. 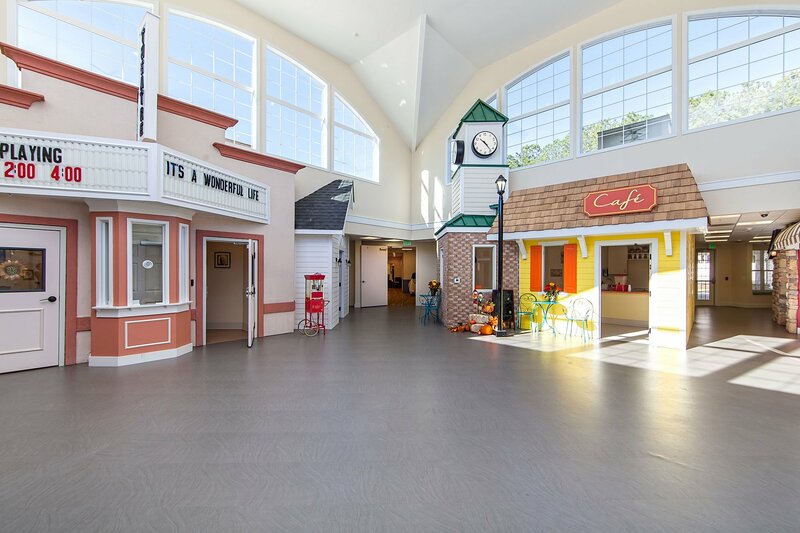 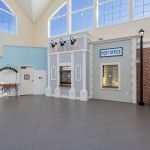 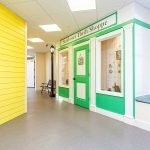 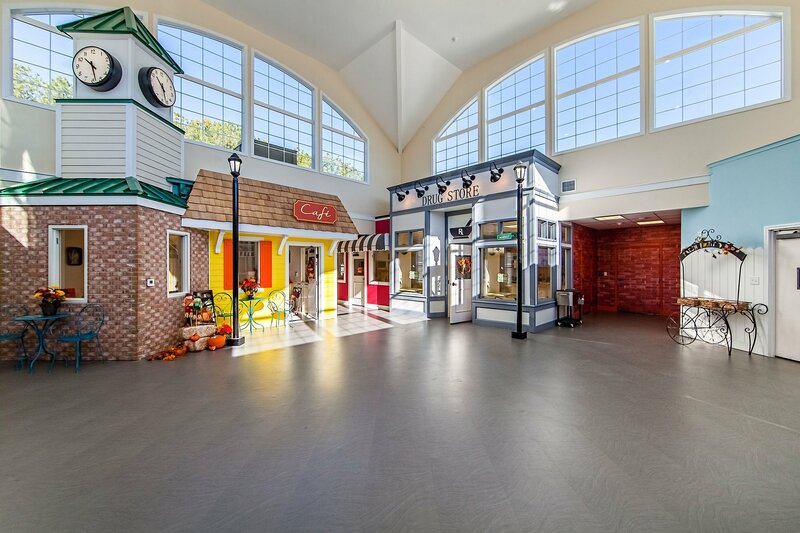 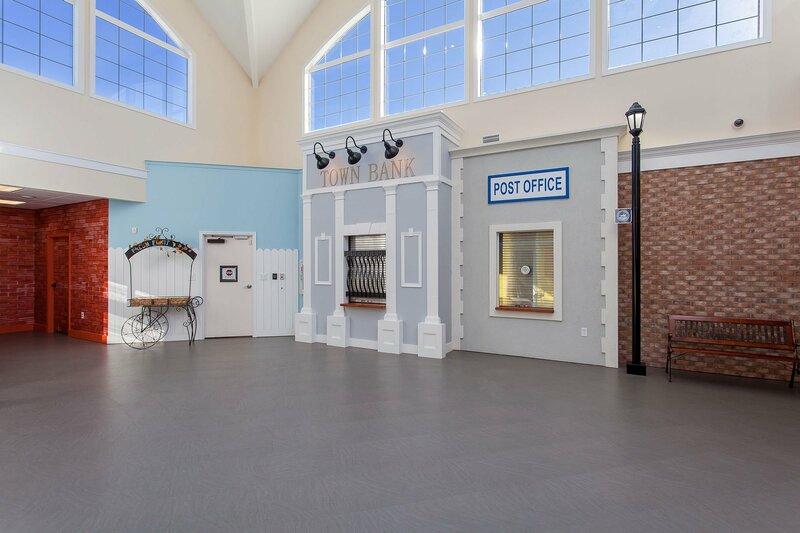 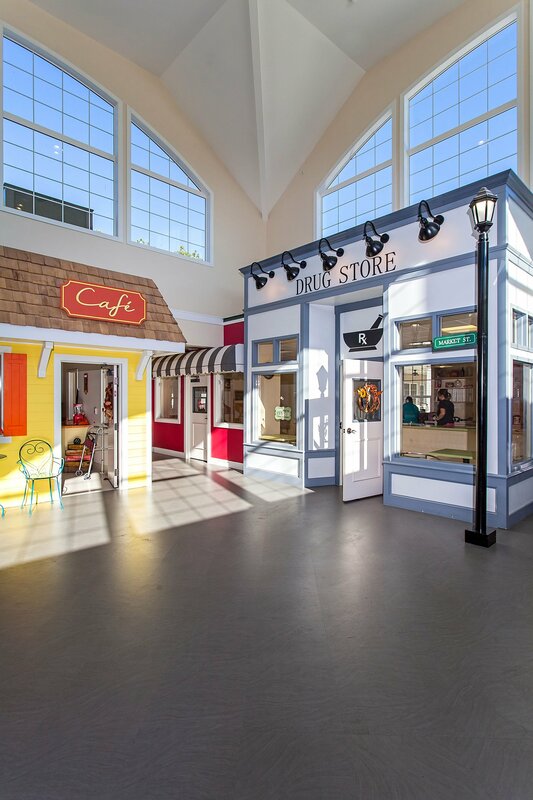 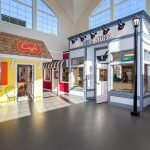 Residents can live in one of three neighborhoods connected by a “Town Square” that includes places for grocery shopping, attending church, and going to hair appointments, the movies, and many other activities. 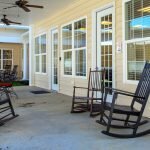 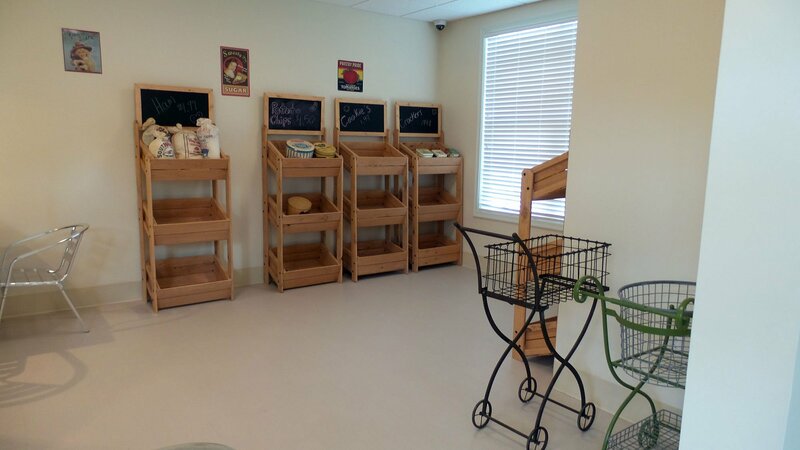 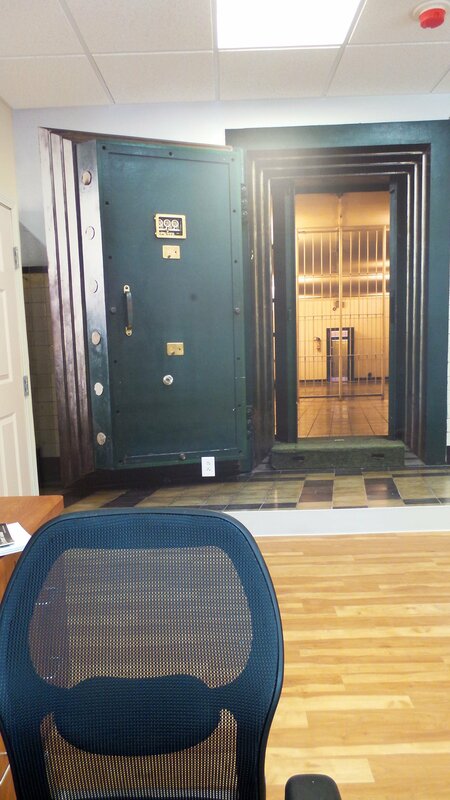 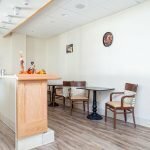 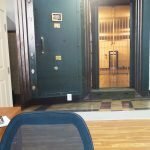 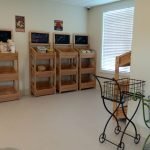 The facility is attached to the Brighter Living Assisted Living Facility and both share the kitchen food preparation services.